Just when I think I’m making some progress with the swimming, it all seems to go bad. My fourth swimming lesson was a little discouraging. I figured I would get in the pool and build on my prior success. However, it took me 30 minutes just to replicate what I had done in the previous lesson. There was a whole lot of water inhalation and even an embarrassing intake that resulted in a barf. Yes, I said it. If I’m going to tell the highs, I’ll reveal the lows too. Fortunately, I managed to get out of the pool without soiling it and Lorraine was great about the whole thing. The very next day, I dragged myself to my coached swim with the team. I cannot tell you how hard it is to get myself to the pool in this cold weather. Well, I got there and was so discouraged because I felt like everyone else was advancing while I was reverting. I was struggling with my funky breaststroke while my teammates were cutting through the water perfecting their freestyle. Coach Steve must have sensed my frustration because he gave me a pep talk and was very supportive. I guess I’ll just have to add another swim workout and try to be patient with myself. Since my time is maxed out I’ll have to replace one of my runs with a swim. In other news, the team is scheduled to go bike riding on Saturday. I’m looking forward to the change of pace … pun intended. My triathlon training officially began this week. I am training with some awesome ladies from Black Girls Run! Long Island. We are serious and are working with triathlon coaches, Jackie and Steve. It’s on!!! And swimming was on the coaching menu for Tuesday. The tri coaches expect that we can already swim and are helping to prepare us for triathlon swimming. Yikes! So How’s the Swimming Coming Along? I had my third swimming lesson on Monday with Lorraine, my swimming instructor, and guess what … YES, I can swim. Okay, so I’ve not yet channeled my inner Missy Franklin or anything but I swam the length of the 25 yd pool. It was a funky breaststroke, but whatever gets me from point A to point B will do. I CAN SWIM!!! As you can see, I am really excited about this new development, especially since it’s just in time for tri training. What Was So Different About This Time? Inquiring minds want to know. This time was different for three reasons. First, my past experiences involved group instruction, which allowed me to fly under the radar. Second, I am more determined and motivated to learn this time because I have a set goal in mind. I have already registered and publicly announced that I am doing this triathlon. Shame and disgrace is a great motivator. Hello!!! Third, Lorraine, is the Bomb dot com. I got in the pool and Lorraine told me to show her what I can do. I just stood there and looked at her. Then she told me to put my head in the water. Again, I just stood there looking at her. Maybe I expected her to have me do some more exercises to get comfortable in the water. But no, she just looked right back at me. I then made the swift decision that I was not going to waste my good money (my swimming lessons were my birthday gift to myself) staring at this woman for 30 minutes. So, I put my head in the water. We spent the second lesson in the “deep” end of the pool, which is 5 feet deep. Considering I’m only 5’3″ I was a little nervous down there. Lorraine had me floating face down, treading water and doing side breathing drills. I had a lot of problems with the side breathing. My ears feel weird when I put my head to the side and there’s a lot of coordination involved. Now if I were coordinated, I’d be doing Zumba or something. I hadn’t met with Lorraine in almost a month due the holidays and a bout with the evil cold/flu that has been rampant. But, I did manage to get in some solo pool time to practice my breathing and just get more comfortable in the water. So at my third lesson this week Lorraine taught me how to push off the wall, kick and coached me through the side breathing. Then she told me to swim the length of the pool and miraculously I was able to do it after a few tries. I CAN SWIM!!! What’s That You Say? You Can’t Swim? 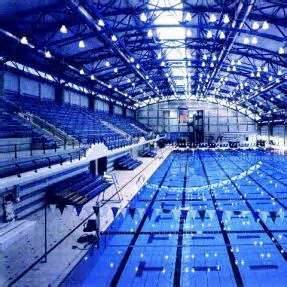 I’ll admit that the thought of the 400 Meter swim strikes fear in my heart. The registration form for the Mini Mighty Man even tried to deter me by saying that you should be able to swim the distance in 16 minutes to sign up. Sixteen Minutes!!! But, I am determined to overcome this hurdle. I am a grown woman and I should know how to swim. When I started secondary school in the U.K. (I’m not sure what the grade equivalent is in the U.S. but I was eleven) we were required to take swimming. While most of my peers either started or graduated to the deep end, I stayed in the shallow end of the pool the entire time. I think it might have been an entire school year. In order to get to the deep end, you had to be able to swim the length of the pool and tread water for a minute (or something like that). The other students enthusiastically aspired to this goal. However, I had no such ambition. I just couldn’t figure out why my swimming cap wouldn’t keep my hair dry, especially when I refused to put my head under the water. I now realize it was because it was a riduculous rubber cap with a strap that my mom got from Tescos. For all of my Monday swimming classes, I managed to learn how to dog paddle for a few seconds before my inevitable sinking. In 1996, I was back in England and my cousin decided that she wanted to take swimming lessons and so I went with her to classes. Once again, she was really into it and was making progress but I was a hopeless case. The instructor would tell us to put our heads in the water and I would just wade around watching everyone else sputter and look uncomfortable. And like all “smart” teachers, he just ignored me and focused his efforts on the good students. Needless to say, I never made any progress. I am really into my running and I’m putting in 18 miles per week, which is reduced mileage due to the fact that I have been suffering with chronic achilles tendonitis. I probably shouldn’t have been doing more than 10 but I was hooked. I finally got frustrated because I wasn’t able add any more distance to my runs and decided to just stop running to give my achilles the chance to heal. During this time I figured I could do some cross training but I found the old standby elliptical machine to be bor-ring and the jumping around required to perform my workout DVDs seemed to defeat the purpose. After spending some time researching on the internet, I found some articles that touted aqua jogging as a great way for runners to maintain fitness while recovering from injuries. But aqua jogging required you to be immersed up to your chest and it didn’t seem safe for non-swimmers, so I started thinking about the swimming thing and begain looking into classes. A few weeks later, Black Girls Run! Long Island had a meet and greet and a BGR triathlete did a presentation on triathlons. At that moment, I knew there was a triathlon with my name on it. 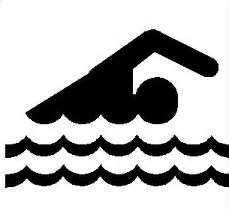 Author jenneanPosted on January 9, 2013 January 9, 2013 Categories SwimmingTags learning how to swim, Mini Mighty Man, triathlonLeave a comment on What’s That You Say? You Can’t Swim?